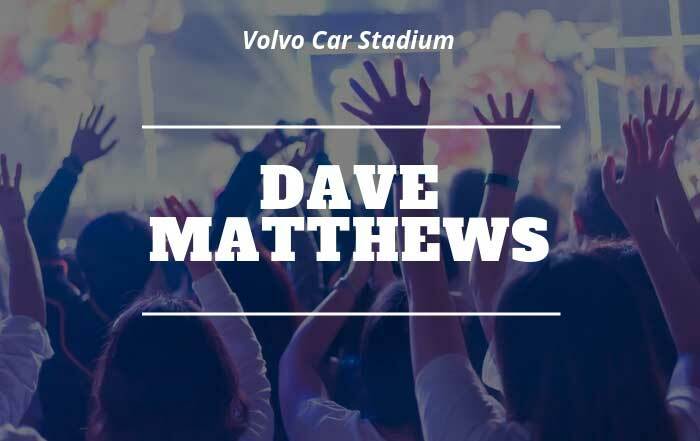 Volvo Car Stadium is having a special spring concert with Dave Matthews on April 20 at 7:30 p.m. on Daniel Island. An Evening with Dave Matthews and Tim Reynolds is a must see concert for any Dave Matthews Band fan in Charleston, SC. If you need a ride to Volvo Car Stadium, reserve a concert car service with RideGCT. Dave Matthews and Tim Reynolds have been touring this show in Europe and will be bringing this rare, stripped-down acoustic performance to two spring concerts: South Carolina and New York. Best known for the Dave Matthews Band, DMB has sold 38 million albums since the 1994 with hits like “Crash into Me,” “Satellite,” and “What Would You Say.” Reynolds has been a frequent collaborator with the Dave Matthews Band for 25 years and has been touring with the band full-time since 2008. The Dave Matthews concert will also benefit Meeting Street Schools, a Charleston-based nonprofit network founded on the belief that all children deserve an excellent education regardless of their geographic or social circumstances. If you’re going to Volvo Car Stadium, reserve your Dave Matthews transportation with RideGCT. Avoid the drive and stadium parking.